Get equipped with hunting ammo that is as distinct and labored over as your custom 6.5mm Creedmoor bolt-action or semi-auto rifle. 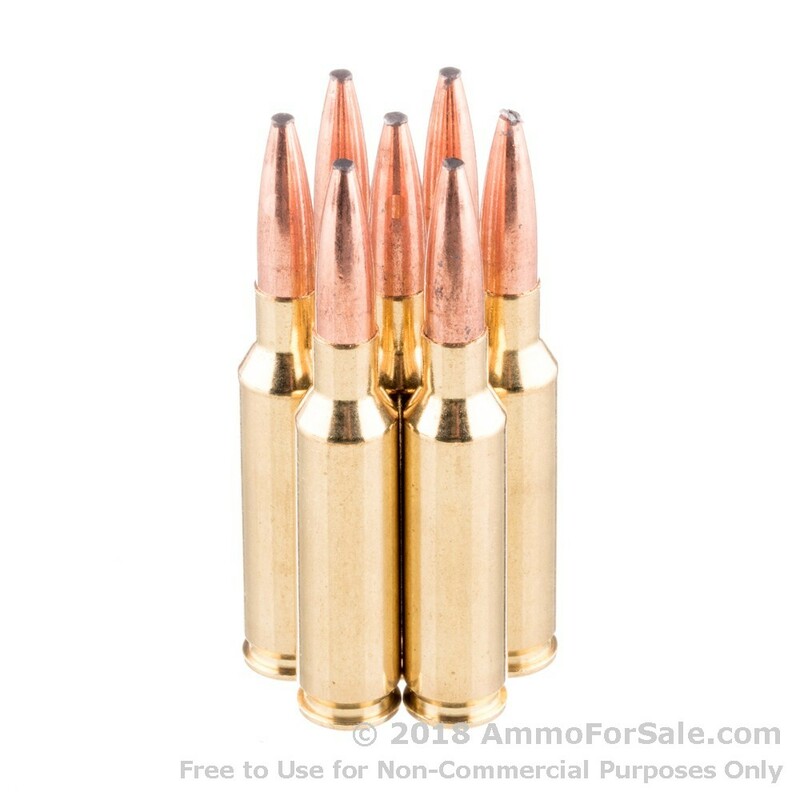 Federal creates this ammunition using reloadable brass casings that are rolled, drawn, and inspected in their own facility. Each case is then fitted with one of Federal's own non-corrosive Boxer primers for ultimate reliability with each trigger press. The primer lends a spark to clean-burning powder which propels a 140-grain bullet with an exposed lead tip. 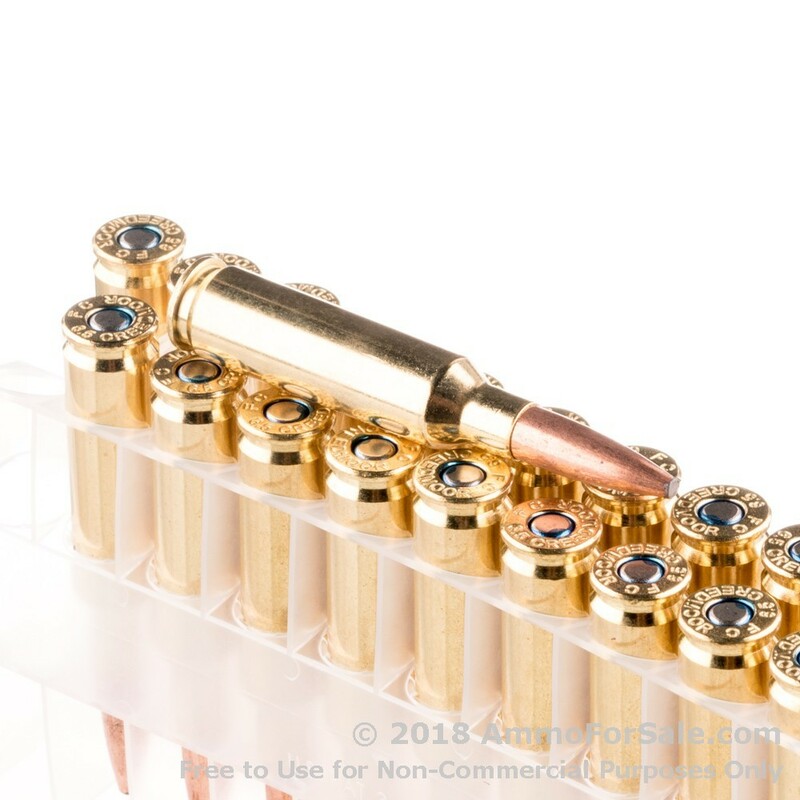 The soft point bullet is equipped with a toothed cannelure which not only secures its crimp for optimal accuracy but binds its copper jacket to the lead core inside. Upon impact with a target, the bullet will experience massive expansion at a calculated rate which allows it to slip past shoulder bones and breastplates. As a result, the bullet's mushroomed form will come to halt inside the ribcage which will devastate the vital organs in order to drop a whitetail deer with humane speed and efficiency. Federal Premium ammunition has been around since 1922 and has both the pedigree and proven results that hunters can trust. 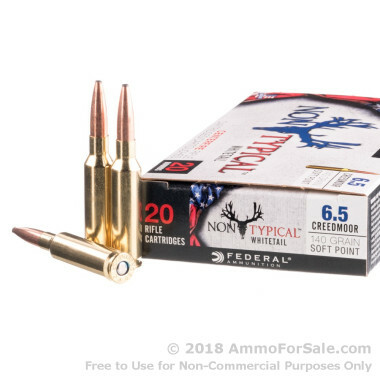 These Non-Typical Whitetail loads were developed expressly to serve American hunters and are available in the most popular and effective calibers around, including Hornady's 6.5mm Creedmoor.